Welcome to the Who's Your Hero Blogfest! 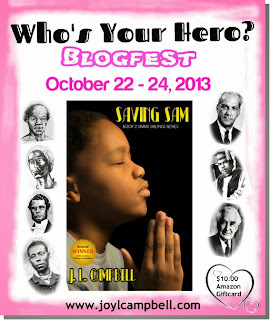 The release of the novel Saving Sam by J.L. Campbell has been timed to coincide with National Heroes’ Day celebrations in Jamaica. Sam, the protagonist finds a hero—or heroine if you like—in his aunt. The mission of this blogfest is to write about someone who has been a source of inspiration or encouragement. I am only one of many bloggers writing about my hero. Find the list of authors participating in the Who's Your Hero Blogfest at the bottom of this page and visit their sites to discover their heroes. 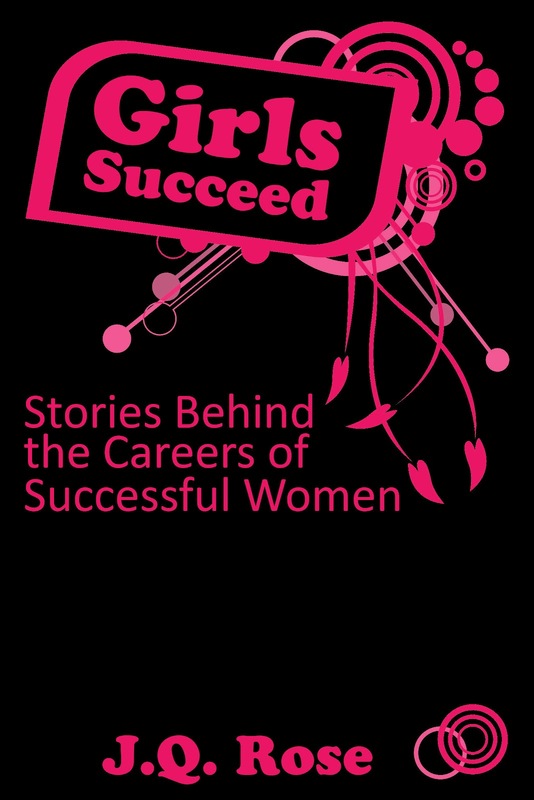 Be sure to leave a comment here to win an e-copy of my MG non-fiction e-book, Girls Succeed! 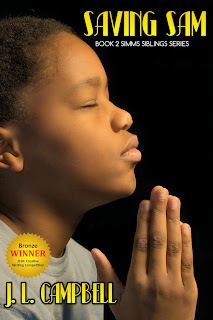 and another lucky commenter will win an e-copy of Saving Sam. Thank you for "hopping in today." Let me tell you about my hero. My hero is my role model, Bernice (Bernie) Frens. Bernie is about twenty years older than I am. She came to me at the right time in my life when I needed her strong, reassuring attitude, her patience, her friendship, and skill set. She came to ask me for a job. My husband and I had purchased a floral shop and greenhouses in a small town. We didn’t know a person in that area or know a thing about the flower business, but we were fired up to be successful business owners so we took the opportunity. We were officially business owners in January and struggled through the winter and spring seasons. That summer, Bernie stopped to buy some flats of flowers and asked if we needed some part-time help. She had owned a flower shop for several years, but sold it when she moved away from her area. She really missed the work. Lucky for our budding floral shop she was an excellent designer, as well as a delightful sales woman exuding customer service. I watched and learned from her about the business. She held me to a high standard of quality and service and lived her Christian ethics rather than just talking about them. A precious friendship developed as we worked alongside each other at the design table. When my dreaded thirtieth birthday dawned, Bernie secretly made a birthday cake and snuck it in to our apartment over the flower shop. When I discovered that gorgeous cake with the big 30 on my kitchen table, I burst into tears thankful for her thoughtfulness. At this writing Bernie lives in a nursing home, a victim of dementia. She told me over twelve years ago about her diagnosis. Heartbreaking news for her, her family, and for us. But she dealt with it bravely leaning on God for strength and courage to face the future. Bernie was a source of inspiration and encouragement to me personally and professionally. Truly a hero in my life. Who's your hero? Leave a comment. You may be one of two winners! 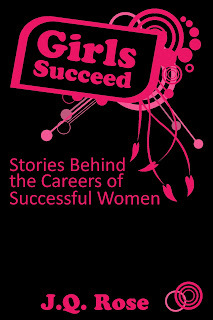 Prizes are an e-copy of Saving Sam and my non-fiction e-book for girls, Girls Succeed! Find the list of other participating bloggers at the bottom of this page. Inspiring and empowering girls to achieve success in their dream careers. Back of the book for Saving Sam. when those sworn to protect him become abusers. A tragic domestic dispute between his parents lands eleven-year-old Samuel Simms and his siblings in the Downswell Place of Safety. The challenges come hard and fast, but the one thing Sam doesn't count on is being left behind in the children’s home. Angry and disillusioned, he gives up hope of adoption. A ray of light comes in the form of a foster family, but everything is not what it seems in the Miller household. After a harrowing five-month stint, Sam runs away. A victim of abuse, he's determined not to repeat his mistake and opts to remain a ward of the Jamaican government until he’s eighteen. The burden of secrecy is more than he can bear and Sam's hair-trigger temper makes him disruptive. Under pressure from his aunt, Sam caves in and shares a tale of horror surrounding his foster parents. With his ordeal exposed, Sam must make life-changing choices. He can continue to be brainwashed by his abuser or face his nemesis in a court of law and stop a habitual predator from harming other children. Saving Sam is a moving coming-of-age story that explores relationships, the abuse of trust and the ease with which evil can hide under the guise of Christianity and philanthropy. J.L. Campbell is a proud Jamaican and an award-winning writer, who is always on the lookout for story-making material. She writes romantic suspense, women's fiction and young adult novels. She is the author of Contraband, Christine's Odyssey, Dissolution, Distraction, Don't Get Mad...Get Even, Giving up the Dream, Kicked to the Kerb, Retribution and Hardware (written under the pen name Jayda McTyson). 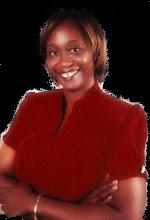 She blogs at http://www.joylcampbell.com Feel free to connect with her on Facebook or Twitter or visit her Amazon author page. I enjoyed reading this. It's amazing how people come into our lives at precisely the right moment. Hi Quanie, that is so true. Sometimes they stay forever in our lives, sometimes just for a short time. I'm thinking about the guy who changed a flat tire on the Interstate. Such a short time, but I needed him at that moment!! Age never matters when it comes to true friendship. My aunt has dementia so I know what her family is experiencing. My entry for the blogfest will be up tomorrow morning. Bernie sounds like such a special person. You have both been blessed by the connection - a mutual need and a mutual blessing! What a touching story J.Q. I am so happy J.L organised this. So I could get such heart warming inspiration. Truly wonderful and thank you for stopping by. Life has a way of providing just the friendships we need at the appropriate moments. Bernice sounds like a life blessing. I loved the flower picture too. Nice to meet you JQ. That's a moving story, JQ. I'm sorry you lost the friend you knew to dementia. Inside both of you are the memories of your great friendship. The older I get, the more I realise how precious those memories are. I enjoyed reading your post, and discovering another author - thanks! Thank you for your heartwarming comments. Glad to meet new authors and love the "old" ones stopping in too. How lovely to find such a friend, sorry she is now suffering from dementia. A great tribute. Hello there! I'm here from the Hero Blogfest for Joy. Such a heartwarming hero story. Sorry your friend is now suffering from that terrible condition. Hi Sally and Denise, Thank you for your kind words about Bernie. Alzheimers actually robbed me of my friend. Hopefully a cure or meds to slow it down will be discovered soon to combat this horrible disease. My Hero is my Grandma, Dorothy Quiram! Though we didn't see her as often as we would've liked, she inspired me so much during the time I was able to spend with her. Bernie sounds like a wonderful hero/role model. Thanks for sharing about her. Lee Ann, thank you for remembering your grandma. She encouraged me to be a writer. Susanne, Bernie was an excellent role model for me and her family too. Thank you for stopping in. Sounds like she was an angel when you needed her most. Friends like that are a treasure. It must be hard to see her struggling with dementia, though I'm glad you have so many great memories. Very nice contribution to the fest, JQ. Donna--I love you referring to Bernie as a life blessing. I'll keep that thought in my heart. Alex--I never thought of Bernie as an angel, but that's a good description too. Robyn--Truly a treasured friendship. Thank you. I know you are ALL winners, but I would like to announce the winners of the drawing today! Denise Covey and Sally Stackhouse! Congratulations! Thanks to all who stopped in during the blogfest. It was a blast!